We were thrilled to see the Gerald Carnie Memorial Award for keeping the Landcare flame alive, presented to Robyn Watson at the NSW Landcare and Local Land Services Conference. Gerald worked as Co-ordinator for Central West Lachlan Landcare and for a time, as Regional Landcare Facilitator up until his death in 2011. The Award was established by Landcare NSW to recognise Gerald’s very special individual contribution to the Landcare movement. The Award is proudly supported by the NSW Parliamentary Friends of Landcare as the official partner and sponsor of the Award. It was a pleasure to have Lorraine, Ryan and Jarrod representing the Carnie family on the evening and being able to present the Award to Robyn. Lorraine acknowledged the special attributes that the Award recognises and its significance to their family. Robyn is fiercely supportive of the contribution that Landcare can make to sustainable and resilient farming, to collaborative landscape-scale nature conservation, and to community capacity and cohesion,” David said. However, the attribute that absolutely qualifies Robyn for the Gerald Carnie Memorial Award is her preparedness to fight for what Landcare stands for. The Gerald Carnie Award is awarded bi-annually at the NSW State Landcare Conference to an individual in recognition of their contribution to the development of “the philosophy of Landcare”. 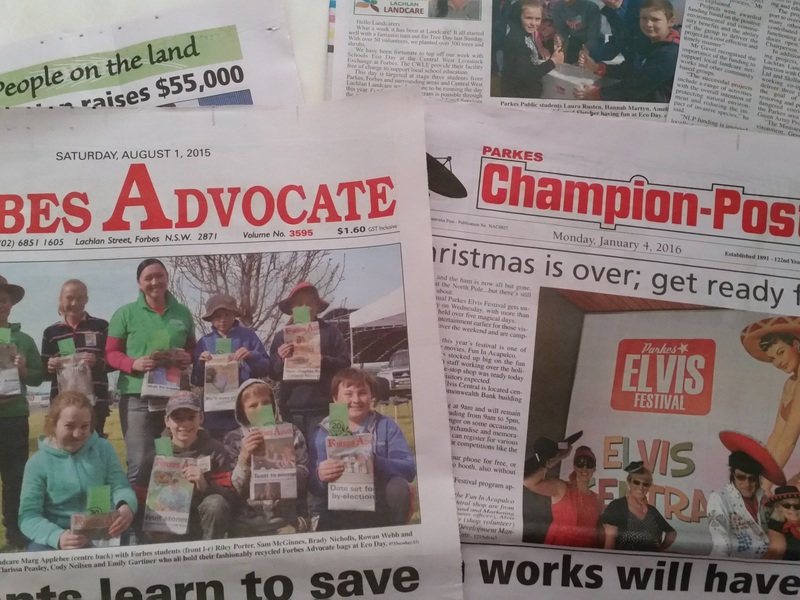 The recipient champions the development of Landcare as a means to support and engender change in attitudes, which translates to a more cohesive and resilient community achieving a healthier environment and/or more productive and sustainable farms. Applicants are judged on the impact they have had at the local and regional or state scale to ensure that Landcare can prosper. The finalists for the Award for 2017 were Mr John Hughson from Hunter Region Landcare Network and Robyn Watson from Boggabri Landcare – Rivercare Group. John Hughson has been involved with Landcare for over 20 years and during this time his passion and enthusiasm for Landcare has grown. 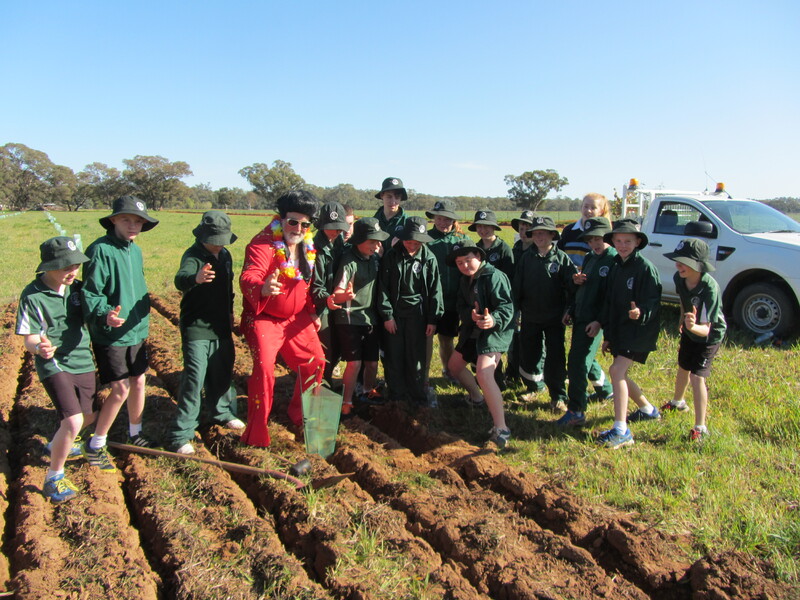 He has worked to develop and enable Landcare at a local and district level, leaving a legacy of strong, well established groups. John now also represents the Hunter region at a State level on the Council of Landcare NSW. In June 2011, Gerald Carnie, a committed Landcarer from the Parkes area, died suddenly at the age of 46, leaving his wife Lorraine and sons, Ryan and Jarrod, grieving and the Landcare community in shock. Landcare continue to recognise Gerald and his contribution to Landcare with this special Award.